Can changing your underwear, change the world? Five eco fashion entrepreneurs are willing to bet on it!!!!! With the recent media attention on the true cost of cheap disposable apparel—"The True Cost of a T-shirt" a Globe & Mail front page feature, and the Fifth Estate piece on the factory collapse—Hopeo is gaining momentum. The company just launched a Kickstarter campaign and already have over 30 backers. As well as Rockel and Saul, the team of five includes fashion designer Claire Carreras along with young entrepreneurs Brittany Whitmore and Rhett Ohlsen. The entire team shares the same commitment to providing a clothing alternative that people can feel good about buying. 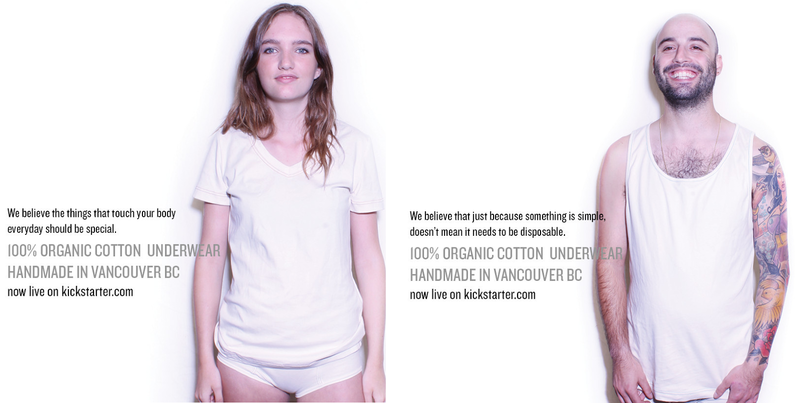 Hopeo makes 100% organic natural cotton underwear handmade in Vancouver, BC. They don't use chemical dyes or bleach and there are no giant logos, just a small henna stamp that washes away over time. All of the organic cotton is grown, milled and processed in North America. 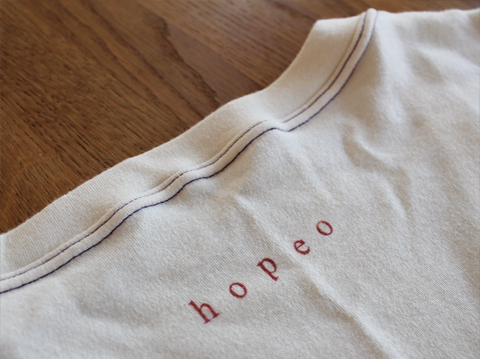 The company is employee owned and directed - a micro-clothier, which according to Saul means “all the clothes are designed, made and sold in the same location.” Future plans include opening a Hopeo House in every major city on the west coast. To raise the capital needed to move forward, the company launched a Kickstarter campaign on October 7. Money raised will be used exclusively to finance their first full production run.